RALEIGH RENTS ARE ON THE RISE! 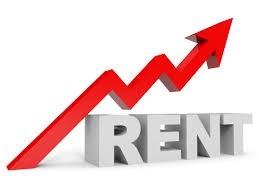 With growth comes growing pains and that means an effect on the rental market in Raleigh. In 2018, rent prices grew by three percent around the Triangle coming close to the national average rent growth of 3.2 percent. They're higher than other areas in the state. our median rent is about $300 more a month than it is in the Triad area and Greensboro." Because the housing market is being driven by lack of inventory, people aren't happy with what's out there and instead are choosing to rent to see if conditions change. - Be fearless. Stay the course. I will use my strategic pricing experience to make sure that your offer is a good one. However, don’t be upset if you don’t get the first property you bid on. In my experience this means that there is a better house for you down the road. Tired of paying your landlord’s mortgage? Call me & I’ll help you purchase a house to call your home.